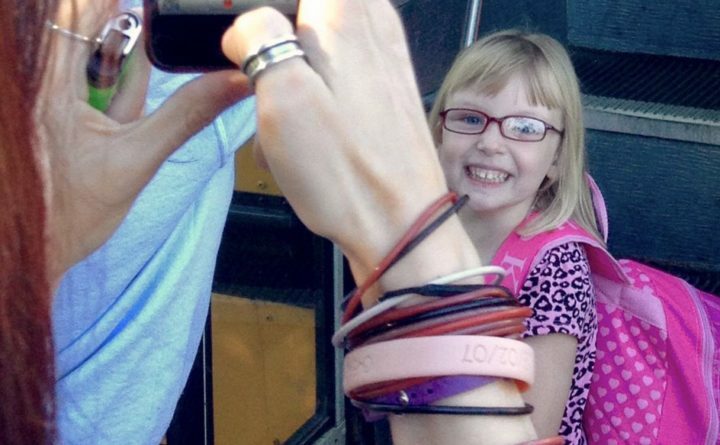 Marissa Kennedy steps on the bus for the first day of kindergarten in New Windsor, New York several years ago. After a crisis, it is only natural to want to fix the problem. So, after two young girls died after allegedly being abused, it is not a surprise that the LePage administration and lawmakers are rushing to make changes to the state’s child welfare system. Any changes, however, must get at the root causes of the state’s failure to protect children from abuse. Some of the changes proposed by the LePage administration may help; others will not. What, so far, is missing is a comprehensive plan to ensure that the Department of Health and Human Services and its many employees are equipped to appropriately handle the thousands of abuse reports the department receives each year. This will require more money and staff, which the governor has called for through one of his bills. It will also require training and ongoing staff support to ensure that department employees can do their jobs. This won’t come through legislation but a change in culture within DHHS. The administration has submitted five bills that call for various changes to child welfare laws. A public hearing on these bills before the Legislature’s Health and Human Services Committee is scheduled for 9:30 a.m. Monday in Augusta. The most comprehensive bill, LD 1923, provides $6 million in needed funding to raise compensation for case workers and to hire more supervisors. It also would allocate $8 million to develop a new information system to track child welfare cases. This is a start on rectifying problems that have been identified, both by DHHS employees and outside reviews, within the state’s child welfare system. Two of the governor’s other bills are cause for concern. One, LD 1919, would make failure to report suspected child abuse a crime for mandated reporters — 32 specific types of professionals required required to report suspected abuse and neglect. They include doctors, dentists, teachers, bus drivers and youth camp counselors. Under the law, these people “shall immediately report or cause a report to be made” to the state Department of Health and Human Services “when the person knows or has reasonable cause to suspect that a child has been or is likely to be abused or neglected or that a suspicious child death has occurred.” In some cases, the suspected abuse or neglect must be reported to the district attorney. Reporting can be onerous. When they call DHHS to report abuse, reporters are frequently placed on hold for long periods of time. Some calls aren’t answered at all. In other instances, mandated reporters are told what they are reporting is not serious enough to warrant DHHS attention. In the case of Marissa Kennedy, Bangor school officials reported their suspicions of abuse. Those officials did not hear from DHHS, so it is unclear if the department followed up on those reports before Kennedy’s death in February. A March report from the Legislature’s watchdog arm recommended additional training and guidance for mandated reporters, shorter timelines for assessments of reported cases, better responsiveness to phone calls reporting potential abuse and more training for state staff, among other suggestions. This is likely to be more effective than threatening doctors, social workers and bus drivers with fines and jail time. Another bill, LD 1922, would change state law to diminish the importance of family unity. Currently, family rehabilitation and reunification is a priority in child welfare cases. This bill would simply require “reasonable efforts” be made to rehabilitate and reunify families as a means of protecting the welfare of a child. Multiple studies show that, when it’s feasible, children generally fare better with their parents than they would in foster care. The state can help parents become more successful with the right services, such as addiction treatment, temporary financial assistance and helping them to identify support networks they can call on during challenging times. As they assess the governor’s proposals, lawmakers must be sure they aren’t taking action just for the sake of appearing to fix shortcomings in the state’s child protective services. Instead, they should take their time to ensure that any changes that are made will actually address these shortcomings without a lot of unintended consequences.